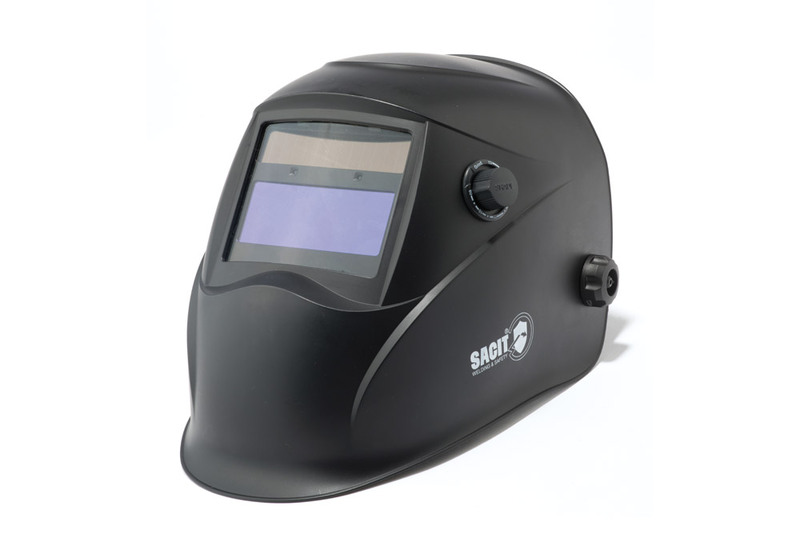 Sacit’s range of auto-darkening masks have been completely inspected and optimized in order to offer only the best performing products to welders. 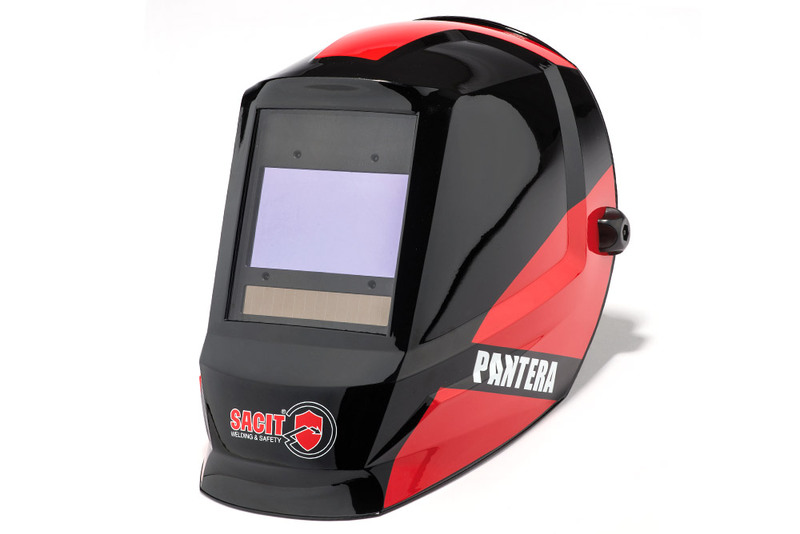 Each model of the new auto-darkening welding mask, manufactured by Sacit features: DIN filters < 9 ÷ 13 > of excellent quality in different sizes (also extra-large), 2 or 4 sensors for the automatic darkening, true color technology for an accurate viewing of colors and, last but not least, a refined and elegant Italian design. PANTERA is the top digital mask of the range of new PLUS Sacit series. 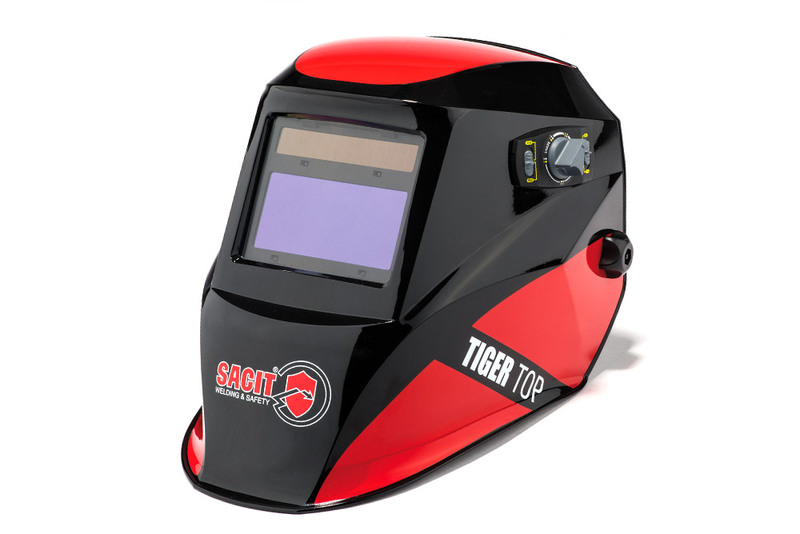 Thanks to the use of the four sensors for the darkening, the precise digital adjustment and wide visual area, this mask is dedicated to a welder seeking excellent performance in all welding processes. The innovative true colour system guarantees a “real” colour vision, which allows a minor eyestrain. TIGER TOP is the flagship of the new PLUS Sacit masks in analogue version. Thanks to a 110 x 90 visual area and to the use of the four sensors for the darkening, this mask is ideal for a demanding welder who wants high performance in all welding processes. Equipped with the true colour innovative system, TIGER TOP offers a “real” colour vision, that allows a lower eyestrain. 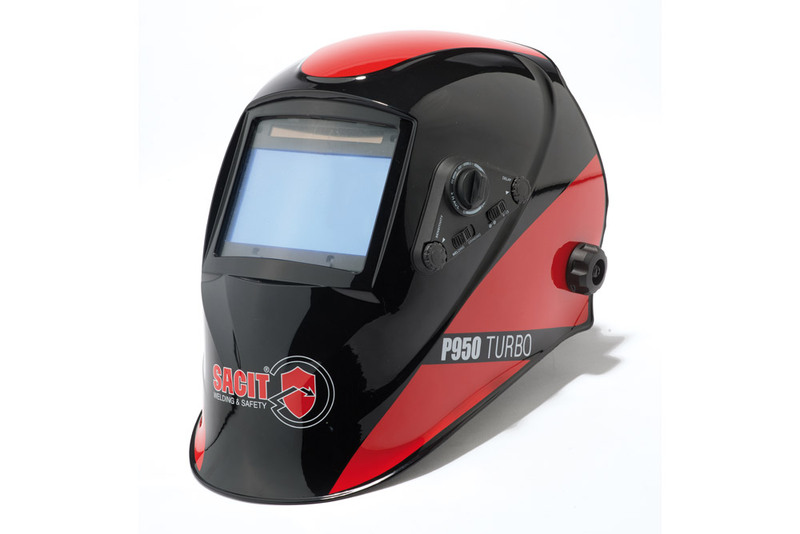 Characterised by an attractive design, the new optoelectronic mask P850 is the “small” new entry of the Sacit range: perfect for those who want a universal, economic and reliable product to use in the processes of traditional MIG/MAG, TIG and electrode welding. P950 turbo is the first of a new series of PLUS masks and is characterized by the use of 4 darkening sensors and a new and attractive design studied on the colours of the Sacit brand. Designed for demanding welders, this mask combines design and performance and is well suited to all the welding processes.